The week in review: why McCall is delivering high performances, how the forward line might become more fluid, and who should play in defence? Home › Opinion › The week in review: why McCall is delivering high performances, how the forward line might become more fluid, and who should play in defence? WOAP writer Tim Penfold summarised it best when he said, “McCall has created a team that consistently out-creates opponents but doesn’t kill teams off.” Of all the many elements of Bradford City’s season, the continuing dominating of matches is one of the most striking. Almost week in week out, we are witnessing a high level of performances from the players that often sees them winning the possession, corners and shots on goal stats – if not the match. Time and time again, City should win over the balance of the 90 minutes. Performance-wise, there have been very few off-days all season long. Stuart McCall deserves to take a huge amount of credit for this. City’s last decade plus in the lower leagues has taught us that consistency is an illusive quality at this level, and that players who could be brilliant one week are invariably wretched the next. Even last season, for however impressive the league campaign ended, there were some dreadful defeats along the way. Several average displays, where the team looked short of their best. This group of players are clearly bought into the manager – not a given, when you consider they were either at the club before McCall arrived, or were brought in last summer/signed in January by the transfer committee. In many cases, this season’s new arrivals chose to sign for Bradford City, not Stuart McCall; yet they have all responded to his ways really well. With results average of late, there has been talk from some that the pattern of the season is beginning to mirror McCall’s first spell in charge. Namely the 2008/09 season where the manager had a big playing budget, started the campaign really well but endured a miserable final third that cost City a play off spot. I think this is an over-simplified, unfair argument – but, as ever, time will tell. Yet one element that definitely has re-merged from last time is the buy-in he has achieved from his players. When McCall left as manager in February 2010, some of the players were in tears. Whilst the manager was hardly blameless for the 2008/09 collapse, he carried on for almost another year with a rebuilt, cheaper squad running through brick walls for him. They lacked the quality but not the motivation. Their affection for McCall was best personified by the way the whole team reacted to a last-minute winner at Torquay United in his penultimate game in charge. To a man, they raced to the dugout to celebrate with their manager. McCall is evidently a great man-manager, and a good coach. He puts his arm around players, talks up their ability and instills confidence. He wants people to feel free to express themselves on the field, accepting the consequence that he can’t then berate them too much for individual mistakes. On the training ground he works with players to improve their game. He offers loyalty and gets it back in return. Where it went so wrong last time (2008/09) was that, because the players looked up to him so much, his downbeat demeanour in defeat undermined the spirit he was building up. He took setbacks too personally and that invoked a fear factor in the team, who didn’t want to let him down. I remember going to Chester City away during that painful end of season run, with the home side winless in 17 and bottom of the league, and the whole City team was paralysed with fear about losing the game. If McCall could have stayed more calm, composed and positive during the set backs – displayed the kind of dispassionate outlook that Phil Parkinson did so brilliantly in such situations – his first spell in charge could have turned out so differently. But that shouldn’t erode the many positives he achieved last time, and the way he was able to get the best out of players. Peter Taylor and Peter Jackson followed him in the Valley Parade hotseat and fared much worse. This time around, we are once again seeing a squad who believe in McCall’s ways and consistently give him exceptional performances. There are of course faults in recent games and certain areas where the manager and team must be much better; but they are workable on the training ground and McCall is the absolute right man to coach them. So far he has seemed downbeat in defeat, but not defeated. In each of his three seasons in charge last time around, a couple of set backs turned into a lengthy losing run. That has not happened this time around so far, and McCall’s defiant words after the Bolton match were full of positive determination. City are bold, cavalier and adventurous – but on occasions they are not smart. Yet the path taken feels right, the results are still very good, and if everyone holds their nerve this time around we could experience a much more glorious run-in. McCall is once again proving himself to be a good coach, and so far a much better off-the-field leader. Backing up the point about City’s general dominance in matches are the latest E-Ratings from the excellent Experimental 3-6-1 website. They analyse every team’s expected goals for and against, based on the number of shots they produce/face, the quality of those shots, and the quality of the opponents. As it stands – and has been for most of the season – City lie second in the E-Ratings League One table. On average they would be expected to score 1.54 goals, and concede 1.01 times per game. 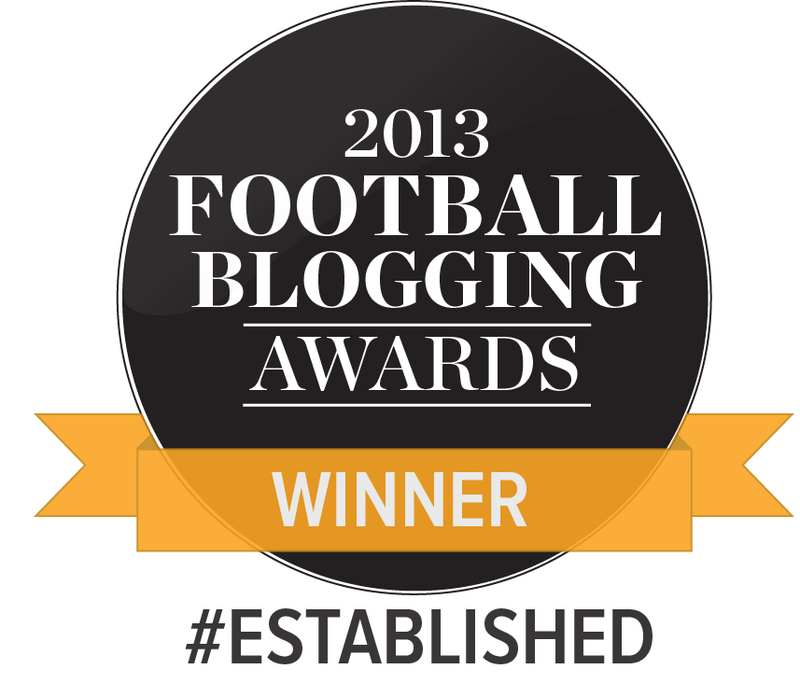 This gives them a healthy score of +0.52%, which is only bettered by Sheffield United’s 0.89%. In other words, City should have the second-best attack in the division, and the second-best defence, based on the chances they create and the opposition manage to produce against them. If they were scoring and conceding as often as they should be, they would be in the automatic promotion places right now. This measurement model completely mirror the reality of City’s defence – who have currently conceded the second least amount of goals this season, behind only Bolton. However, the goal output is nowhere near being the second-best in the division. City currently have 42 goals from 33 games, the 12th-highest in the league. So although recent defensive performances haven’t been great, it’s obvious that City’s deficiencies lie at the other end. Kenny Black said last week that City should have had 10 more points than they have on the board – and the E-Ratings table suggest they also should have scored 12-16 more goals. The Bolton game encapsulated this point. City scored two very good goals but a big part of the reason for drawing was missing other easy chances, with Billy Clarke and Charlie Wyke chief culprits. At Fleetwood the Tuesday before, Alex Gillead missed an open goal and at Bristol Rovers before that Clarke and Wyke again couldn’t capitalise on strong openings. Billy Sharp is the best striker in League One this season by a distance, and it would be very interesting to see how he would fare playing in this City team. The real league table would probably look very different. With the January window closed, McCall is well aware of what he has to work with up front; but knows he will continued to be handicapped by a lack of ruthlessness in the final third. The move back to a diamond was a logical one, allowing City to play it through the middle and suiting Clarke’s game. Mark Marshall looks very good in the striking role, and in this more forward position can cause greater damage. There’s no doubt that, so far this season, City’s two more effective attacking players have been Clarke and Marshall; but finding a system that suits them both isn’t easy. If Marshall is selected out wide to run at people and cross the ball, City need two out and out strikers in the box to capitalise. This is not Clarke’s game. Similarly playing a diamond so Clarke can operate in the hole means City can’t have wide players, so Marshall isn’t able to play on the wing. If either of Clarke or Marshall were to be injured or lose form, McCall would probably look to build the team around the other. Right now, McCall understandably wants both in the side, so has to find a system to accommodate them. The Bolton game showed how this can work, just like it did in City’s last victory at Oldham. The dilemma remains though that Marshall is not an out and out goalscorer and never will be; so it isn’t necessarily a route that will completely address the lack of goals. And it also means there isn’t a place in the team for the club’s top goalscorer, Jordy Hiwula, who has 6 goals in his last 13 appearances. Hiwula is still raw at times but has come leaps and bounds over the course of the season. He is yet to score a single goal from the bench, suggesting he isn’t necessarily suited to the role of super sub. All of which shifts the focus onto the club’s most expensive signing of the last 15 years – Charlie Wyke. The set up of the team should provide him with goalscoring opportunities, and there’s going to be a heavy reliance on the 24-year-old’s shoulders to make the most of them. So far, so good. Wyke’s performance against Bolton was fantastic. His first touch is very impressive, and his off the ball running shows intelligence. He is quick and willing to take people on, and can finish well. It is very, very early days, but many of his attributes reminds me of City’s first ever £1 million signing, Lee Mills, whose 25 goals in 1998/99 fired the Bantams to the Premier League. Before signing for City, sources at Carlisle stated Wyke is a great finisher but can go quiet in games. I think we’ve already seen that – he was anonymous in the second half against Gillingham. But City don’t need another player outside the area taking part in the build up play. They need someone in the box getting on the end of chances. Wyke had made a very promising start to life at Valley Parade, and the early indications are that he can improve City’s goal tally. 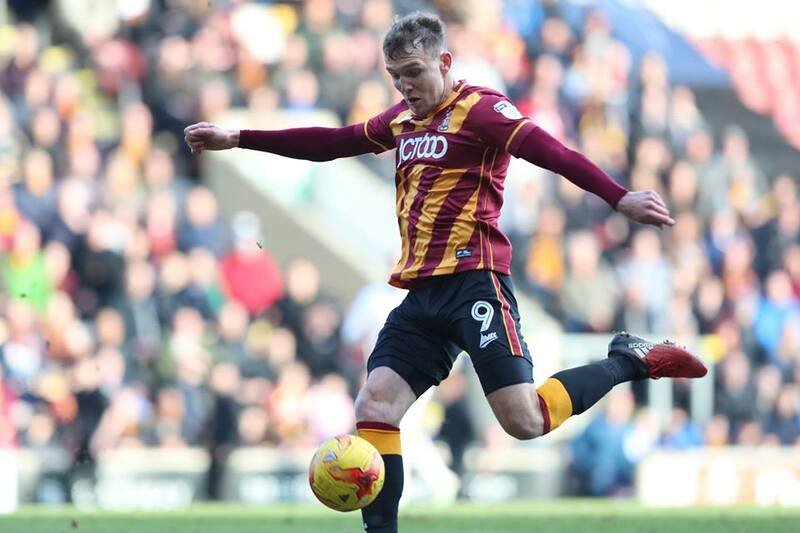 The diamond isn’t a perfect solution and the Bantams aren’t suddenly going to turn into a prolific team; but it might just prove enough to start turning those draws into the illusive victories and make sure City finish in the top six. For all the attacking wastefulness, the fact remains that in the last two home games City have scored twice, but on both occasions they failed to win. Defensively, the Bantams are suddenly leaking some really poor goals. The last six league games have seen Colin Doyle’s goal breached nine times. On the road City have not kept a clean sheet since October, and 12 of City’s entire 14 clean sheet haul came before the turn of the year. It took them 18 games to concede more than one goal. So the fact that, in three of the last four games, City would have needed to have scored three times to win is a real concern. McCall inherited a defensively strong unit from Phil Parkinson – one that was used to being very well protected by its midfield. As the season has progressed and the new attacking style has developed, it was inevitable that some of that solidity would be sacrificed as more bodies are committed forwards. It’s very difficult for any team in the land to be gung ho and impenetrable at same time. That the defence has become more exposed is a small price to pay. Nevertheless, the pendulum may have swung too far the other way. Certainly many of the recent goals conceded have looked preventable. City can and must do better quickly. 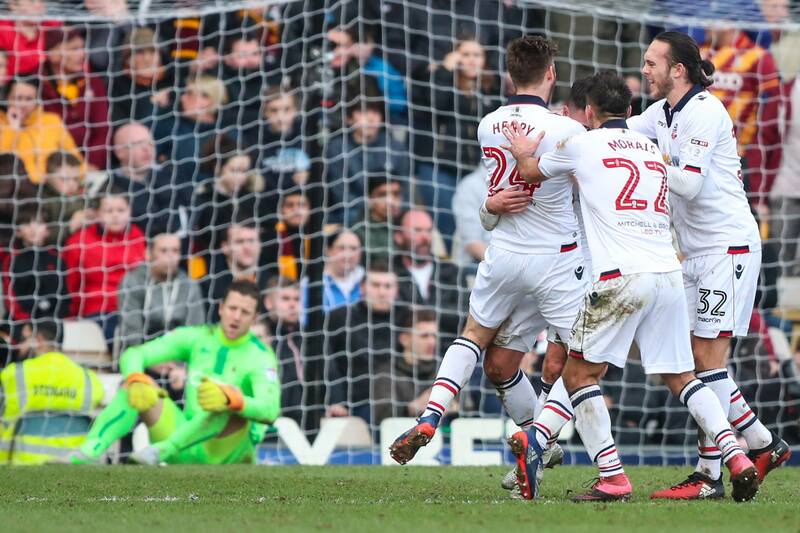 The way in which Nicky Law allowed James Henry to run past him and cross for the Bolton equaliser on Saturday shows City have stopped defending as a unit. And that opens up the risks of individual mistakes proving decisive, such as Nathaniel Knight-Percival leaving Gary Madine unmarked to head home. Mark better, yes, but stop the cross too. Recent defensive wobbles have coincided with the back four experiencing some notable changes from first half of the season. Firstly, Tony McMahon has reclaimed his place ahead of Stephen Darby at right back. More recently Rory McArdle has been re-installed at centre half, after spending the first half of the season playing back up to Knight-Percival and Romain Vincelot. The latter has finally been moved into his natural midfield role and impressed on Saturday playing at the base of the diamond. McArdle has individually looked really strong on his return, but Knight-Percival is struggling to recapture his best form and at the moment the two centre backs are not gelling as effectively as Knight-Percival/Vincelot. It was such a blow to McCall to lose Matt Kilgallon to injury, just when he was looking set to have an extended run in the side. Interestingly the stats don’t reflect brilliantly on McArdle. Looking at the appearances each City defender has made and how many goals were conceded in those games, McArdle’s average of 1.23 conceded per game suggests that – on paper – City are weaker with him in the backline. There is not a huge amount of difference between Darby and McMahon, despite the latter looking less convincing defensively. In fact McMahon has the best record of every City defender. When McArdle has played, City have kept only three clean sheets – two of them were against League Two opposition in the Check-a-Trade Trophy, and one in the league against Northampton, when he was brought on as sub in the 87th minute to shore up the defence. Of the 24 league games McArdle has not appeared in, City have only conceded more than a goal on two occasions. Clearly McArdle is an excellent defender at this level. He was part of last season’s clean sheet record-breaking team, and his physical ability was important against a towering Bolton forward line. Tellingly he has also demonstrated he can play football on the ground, to fit in with McCall’s approach. Nevertheless, it’s still uncertain if the Northern Ireland international would have a place in City’s best back four. I don’t think we will get promotion this season but I’m fine with that. At the beginning of the season I said I’d be happy with a top 10 finish. Even though we are clearly a better team than that and should be fighting for automatic promotion the football we are playing and where we are in the table I’d take that now. Our chairman/transfer committee have proven they know good signings when they see them and are prepared to go all out to sign them. The defence worries me at the moment, in particular their recent tendency to fall asleep at key moments. Like you say, for some reason we have suddenly started shipping soft goals. It so frustrating because previously the problem was at the otter end of the pitch but again as you’ve alluded to, a front three of Wyke, Clarke and Marshall looks fingees crossed to have gone some way to solving that problem. We need to marry up the two to be an effective promotion contender. Great article that spells out where the team have fallen short this season. McCall and co are working hard not only to bring in younger tallent for the future but marrying this with experienced professionals. McCall is brining together a team that is easy on eye and can win with style, which is a completely different direction the club was heading in under the previous regime. Time will bear fruit and the club will reach the championship sooner rate than later. The current season was expected to be a steadying of the ship with one eye on next season given McCall’s 2 year deal. The long term strategy, ticket pricing and footballing philosophy is a massive step in the right direction that has not quite clicked into place. It has been a frustrating watch at times given that the dominance of performances has not yielded the points the team richly deserve. I feel next season will be the right time fo city to win promotion as McCall will know that he requires 1 or 2 further signings to push the club to the next level. A driving midfielder who can net 10 to 12 goals will be the key with the leadership qualities that can turn the draws intovictories. Ill take a play off place this season however, in the mean time enjoy the football we’re playing, get behind the team and see where it takes us. I’m amazed that the stats show Darby to be less effective than McMahon. For me Darbs is class – I’d pick him all day long. I can only think that Tony’s appearances aren’t sufficient yet to give a true average – same can be said for Rory. A great piece, Jason. Of all the things to occupy my mind yesterday, it was those stat’s. I don’t have the nous, and therefore not the time to take them further. The more I looked at them, the more questions became apparent. Take James Meredith. For many a fan, his displays thus far have him ranked amid the leading contenders for this years POTY. The stat’s point us elsewhere. How ‘settled’ was the back four in all these appearances ? What formation was being played ? Had that formation been played throughout the game ? What was the score at the time of any substitution ? It would not be fair, and also not a fact to write McCalls timing of substitutions are poor. Yet how effective have they been ? City are a league one side, and can be slow to react and adapt to any sudden tweak to the playing strategy within a game. Do the opposition benefit more from our tactical changes ? Frustrating as it can be at times, for fans – I think most will agree that the fayre on offer is more refreshing and better on the eye than has been witnessed for a few years. So I for one will take a few disappointments, along with my renewed enjoyment of our games. City may still well be a League one club at the end of the season, but so what ? I will be more optimistic come August 2017, than I was August 2016, that’s for sure. We now have a blueprint strategy, rather than a season by season ‘fag packet’ plan. The substitutes debate is at the moment very tedious in my opinion. I’m not meaning your views, but in general there has been a pattern for years that every time we lose/drop points the substitutions are blamed. 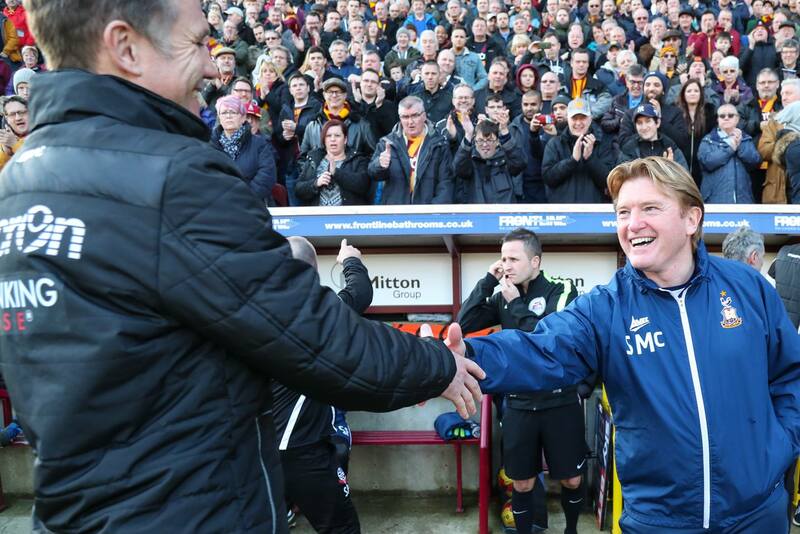 Phil Parkinson got it all the time and Stuart McCall is now getting it. Nowhere has this being better illustrated than the last two games. Lose to Fleetwood and McCall slated for making subs too late; draw with Bolton and McCall slated for making a change at 2-1 that was “too negative”. If Dieng (the person he brought on), had have scored with that shot that hit the post, McCall would be getting praised for the sub and the victory. Because it didn’t go in he is a bad manager. For me the sign of a good manager is how well he sets his team up from the start. Yes subs have a role to play but their influence can be overstated. I don’t honestly know a good way to measure the effectiveness of subs as there are so many different reasons for making changes, but I do think the standard of debate needs to rise around this area. Fully agree with that, the more that stat’s are questioned the more variables are brought into play. So where do we stop – to consider all possibilities in one set of stat’s would be a nightmare and also inconclusive. As I consider any stat, I try to adopt the mindset of the author so I can at least be better informed of what the figures try to represent. As you suggest – stats can be open to many an opinion, if those same stats are misinterpreted. Again with substitutions. If City win then everything is rosy – but lose and all manner of things are to blame. Damned if you do and damned if you don’t. Any player can make a mistake, yet all Hell breaks loose if it affects the result negatively, otherwise nothing said. Human nature, I guess. A very good article.The team have now lost the least in this division.But drawn the most.Now is the time we will see if possession turns to a run of wins.